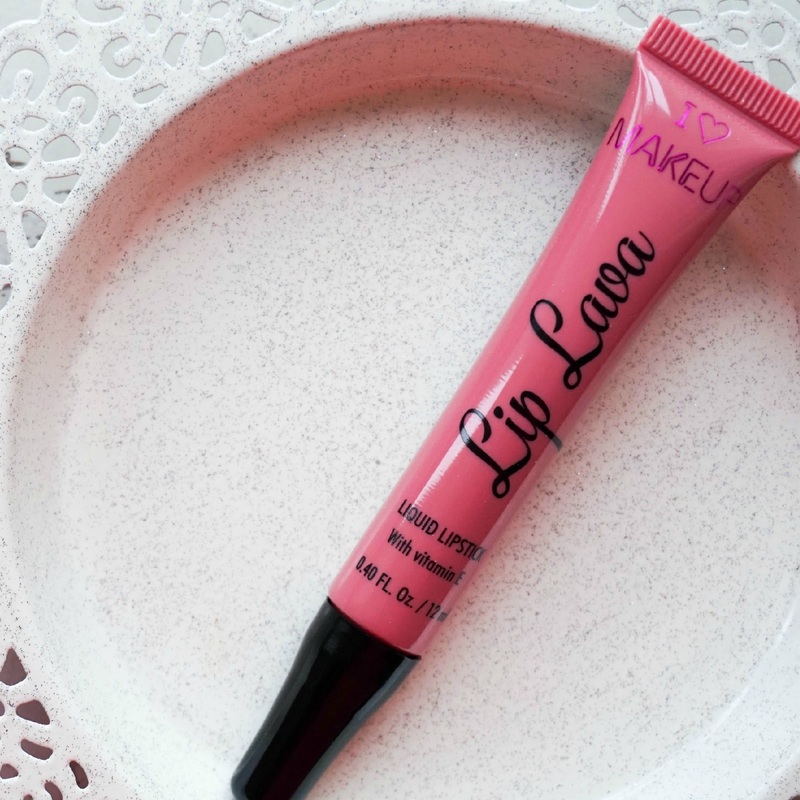 Another new Makeup Revolution product for me is the I ♡ Makeup Lip Lava in shade Tremor which is a gorgeous dusty pink shade, perfect for this time of year. You might have noticed that liquid lipsticks are all the rage at the moment and of course Makeup Revolution haven't missed out by releasing this particular range with 5 different shades. Once again dupe comparisons have been made between the Lip Lavas and the TooFaced Melted lipsticks, but having never tried the more expensive version myself I really can't comment on it. What I can say is that straight away having never tried either options I immediately made comparisons in my head from the packaging alone. As you can see the packaging is a plastic tube with an angled sponge applicator at the top, which I wasn't sure what to think of at first glance but loved as soon as I started applying the product. Even though the packaging is not exactly anything special just bear in mind that this only costs £2.99 and I actually quite like the fact that the tube is the same colour as the shade contained inside. This is really practical for finding the shade you want if you had the whole range for example. Which brings me onto the only negative part because for me personally this was the only shade I was attracted by out of the 5 available and I just wished there was a bigger variety to choose from. So if you're listening Makeup Revolution please, please, please release more shades. Now onto the formula of these Lip Lavas which of course is the best thing about these liquid lipsticks and the main reason I have fallen in love with the product. 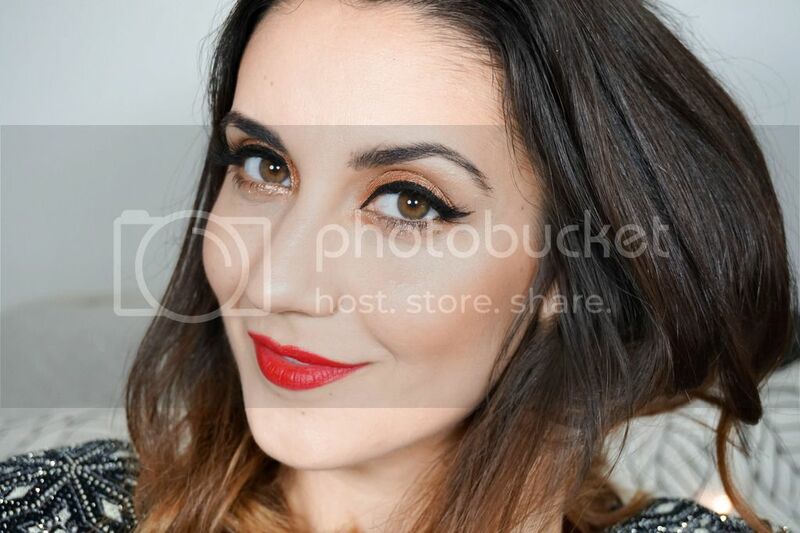 The lipstick is quite thick & creamy yet apply on the lips beautifully well. There's a slight gloss to the finished result but this dries out throughout the day leaving the gorgeous shade behind. I wouldn't say it is matte though as the creaminess of the product stays on the lips, which is why it's not as long lasting as I had originally imagined (once you basically start eating/drinking, it starts to fade). The pigment of these is amazing and all shades really pack a great punch of colour to them from the swatches I have seen online. I will definitely be buying more from the range if new shades will be released as I just love the product and so do my lips, but for now I will enjoy using this gorgeous pink shade. 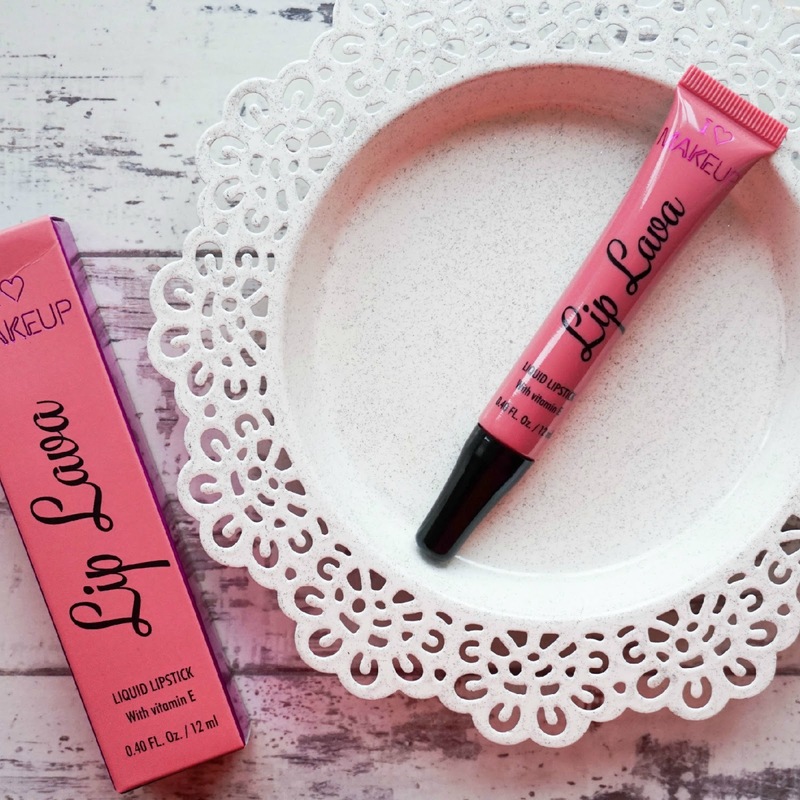 Have you tried these I ♡ Makeup Lip Lava lipsticks yet? If you have what's your favourite shade of the bunch?